•The WAIKANAE MUSIC SOCIETY has its own hour-long monthly radio programme "Concert Notes" which will be on Coast Access Radio. You can listen on 104.7FM on Sunday 16 November at 4.30pm, with repeats on Tuesday 18 November at 1pm, and Thursday 20 November at 9.30pm. Or you can listen now on your computer. Click here "Concert Notes"
•WAIKANAE MUSIC SOCIETY CHARITABLE TRUST FOR YOUNG MUSICIANS:- Applications for the 2014 Scholarships are now closed. The successful recipients will be made known at the AGM in November. Visit Alexander Gavrylyuk's Web Site at...Link Photo supplied by Mika Bovan. We are immensely proud to welcome this prodigiously talented young pianist to our concert platform. Winner of three top international piano competitions, Alexander Gavrylyuk leaves critics searching for superlatives. At the age of 15 he won First prize and Gold Medal at the 1999 Horowitz International Piano Competition, in 2000 the First Prize at the Hamamatsu International Piano Competition in Japan, and in 2005 he took both the coveted Gold Medal and the award for Best Performance of a Classical Concerto at the internationally renowned Arthur Rubinstein Competition. Since then he has built a formidable career, performing regularly with the world’s major orchestras and working with many eminent conductors including Spivakov, Segerstam, Fedoseyev, Lazarev, Ashkenazy and Järvi. Ukrainian-born Gavrylyuk lived in Australia from 1998 to 2006 and returns there regularly to perform. In 2009 he made an acclaimed recording of the complete Prokofiev Concerti with the Sydney Symphony, conducted by Vladimir Ashkenazy and recorded live at the Sydney Opera House. Highlights of his 2013/14 season include concerto performances with Amsterdam’s Concertgebouworkest, Bournemouth Symphony, Sydney Symphony and Istanbul Philharmonic. He will also give recitals in Fribourg, Moscow and throughout Australia. 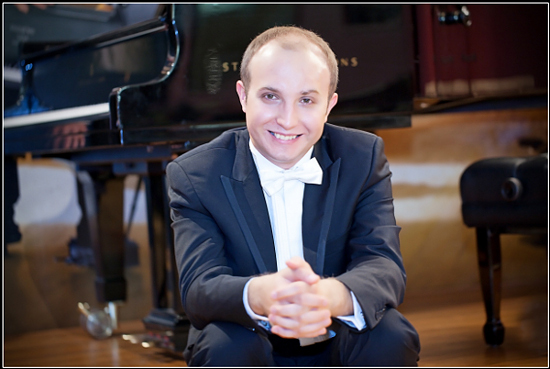 Alexander Gavrylyuk’s concert is generously sponsored by the Deane Endowment Trust. He appears with the kind assistance of Auckland Philharmonia Orchestra. A popular regular feature of the Waikanae Music Society season is Donald Armstrong’s Amici Ensemble. Made up from prominent NZSO musicians, the Amici Ensemble continue to bring us treasures from the chamber music repertoire that are not frequently heard in live performance, generally due to the large or unusual resources required. Fortunately for Waikanae, Donald (Associate Concertmaster of the NZSO) has an inexhaustible enthusiasm for such chamber works. This time he and his friends will play a programme of string octets, all vibrant and youthful works written by great composers in their early years of emerging genius. The Shostakovich Octet has a slow Prelude written in memory of a poet friend and a Scherzo that one critic has called “The wildest single movement in the literature of the string octet”. Enescu’s epic String Octet in one huge movement combines the musical language of the late romantic era with melodies steeped in Romanian folk tradition. Mendelssohn’s famous String Octet (probably one of the greatest works ever written by a 16 year old) rounds out an exciting programme of three major pieces written by three prodigious young composers. 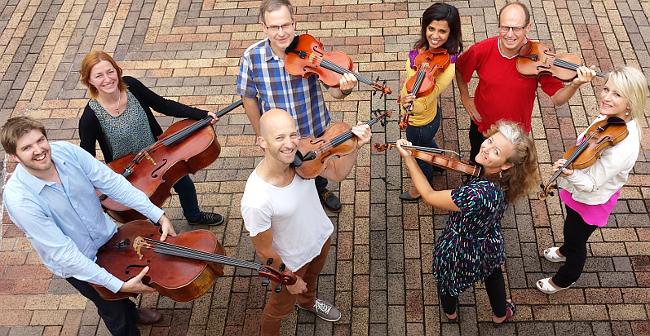 Acclaimed as demonstrating "accomplished brilliance, soulfulness and sublime intensity” (Dominion Post), the Aroha String Quartet is firmly established as one of the finest chamber ensembles at the forefront of New Zealand chamber music, renowned for passionate musicality, impressive technique, and multicultural innovation. 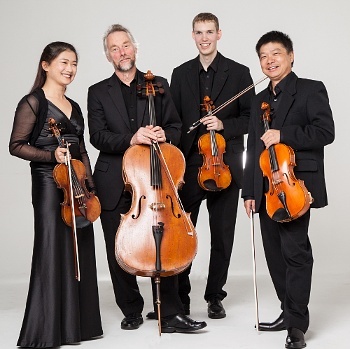 Originally the quartet consisted of four New Zealand-based Chinese musicians but after their foundation cellist left, Haihong Liu and Zhongxian Jin were joined by well-known New Zealand cellist Robert Ibell. Of particular significance to Waikanae Music Society followers is the addition since 2012 of young Kapiti-raised violinist Blythe Press whose career many have followed with interest since he was a youngster playing in our Student Musicians’ Concerts. The Aroha String Quartet is committed to presenting works from traditional Chinese folk music to western classical and contemporary repertoire, and their Waikanae programme for 2014 contains wonderful examples of each of these genres. Between the youthful purity of Mozart’s first quartet and the intensity of Schubert’s momentous last quartet we will hear a short piece by young NZ composer Sam Piper and some charming arrangements of traditional Chinese folk songs. The first concert at 2.30 pm introduces junior students and at 5 pm more advanced students perform. The Michael Hill Violin Competition is one of the most demanding and prestigious competitions in the world: the winner receives $40,000, a record release with Atoll, and the winner’s tour of New Zealand. The 2013 winner was Nikki Chooi, whose Sibelius concerto bewitched audiences at the finals. Born in Canada in 1994 to parents of Chinese descent, he is a graduate of the Curtis Institute and is now studying at the Juilliard School of Music. 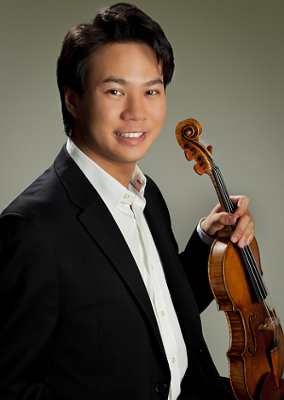 First prize winner at the 2009 Irving M. Klein International String Competition and laureate of the 2012 Queen Elisabeth Violin competition, he has performed widely in North America and Europe. He currently plays a 1700 “Taft” Stradivari violin. Nikki Chooi will be accompanied by New Zealand pianist Stephen De Pledge, one of the most exciting and versatile musicians of his generation. A graduate of the University of Auckland and the Guildhall School of Music in London, his career was launched after winning the Gold Medal from the Guildhall, and the NFMS Young Concert Artists’ Award. 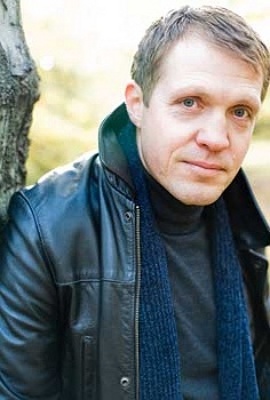 He has since maintained a diverse and wide-ranging performing schedule as soloist, chamber musician and song accompanist. Presented in association with Chamber Music New Zealand and the Michael Hill International Violin Competition. New Zealand clarinettist Anna McGregor graduated from the University of Auckland in 2008 with first class honours and has recently completed a Masters degree at the Royal College of Music in Stockholm. She has performed professionally with many orchestras in Sweden including the Royal Stockholm Philharmonic, the Swedish Radio Orchestra and the Royal Swedish Opera. Anna has represented New Zealand both as a soprano in the New Zealand Youth Choir and as a member of the National Youth Orchestra. The Antithesis Quintet, in which Anna is joined by fellow musicians from Norway, Sweden and France, has enjoyed great success in Scandinavia. Unfortunately, an injury to one of the players means that for their New Zealand tour there has been a change of name and personnel. 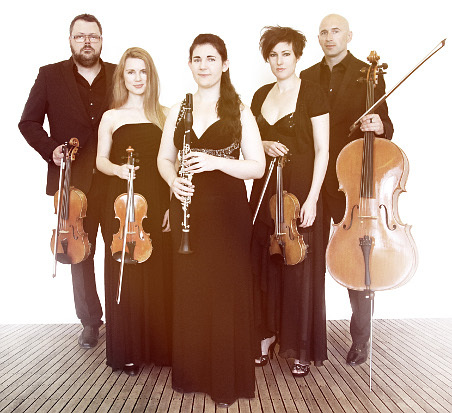 Now touring as the Dalecarlia Clarinet Quintet, this ensemble brings to New Zealand some of Sweden’s most experienced chamber musicians and also boasts another New Zealander, violinist Manu Berkeljon. The programme, which remains unchanged, features the two greatest clarinet quintets of all time by Mozart and Brahms. The Dalecarlia Clarinet Quintet concert is presented as part of a Chamber Music New Zealand tour. One of New Zealand’s favourite pianists, Diedre Irons was most recently Head of Classical Performance at the New Zealand School of Music, before she “retired” in 2011 to enjoy an increasingly busy international concert career. One of her great joys has always been chamber music, and her collaboration with two of the finest musicians in the NZSO is one that has met with enthusiastic acclaim wherever they have played. From Finland, Vesa-Matti Leppänen joined the NZSO as Concertmaster in 2000, while Andrew Joyce, from England, has held the position of Principal Cello since 2010. Together with Canadian-born Diedre Irons they are some of the many international artists who have come to make New Zealand home and who have so enriched our musical lives. As well as wonderful trios by Beethoven and Brahms, we will have a rare opportunity to hear, in one concert, two of Debussy’s last works. Debussy originally planned a cycle of six sonatas, but only completed three - the Cello Sonata, the Sonata for Flute, Viola and Harp, and the last work he ever wrote, the Violin Sonata. Lecturer in Piano at Te Kōkī, New Zealand School of Music, Jian Liu is a highly sought-after solo pianist, chamber musician, and educator. He has appeared on concert stages throughout Asia, Europe, United States and New Zealand. 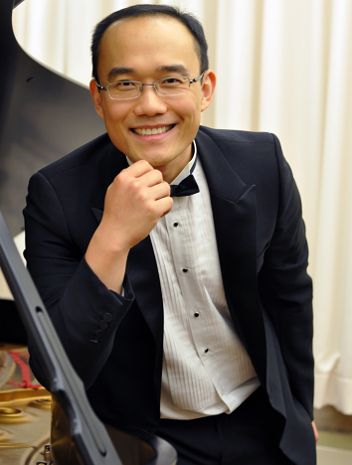 Accepted into the prestigious Central Conservatory of Music in Beijing at the age of 12, Jian continued his studies in the US, winning prizes in several international competitions. He graduated as Bachelor of Music and Bachelor of Science from Arizona State University, followed by a Master of Music, Master of Musical Arts and Doctor of Musical Arts from Yale School of Music. As an educator he has held positions at a number of prestigious universities in China, Singapore, Australia and the United States, most notably at Yale University. We have already enjoyed Jian Liu’s wonderful playing in 2012 when he stood in at 24 hours notice after our scheduled pianist was injured, and again in 2013 with the Te Kōkī Trio. So we are thrilled to have him return, this time in a programme that offers everything from the drama of the Bach/Busoni Chaconne to the intriguing sounds of Russian composer Sofia Gubaidulina, and from the elegant genius of Beethoven to the amazing virtuosity of the Brahms’ Paganini Variations. Trio in Bb Major (Opus 97) "Archduke"
What a pleasure it is to welcome back two of New Zealand’s musical treasures – Michael Houstoun and Wilma Smith. They need little introduction – Michael as New Zealand’s most revered pianist and Wilma as the founding leader of the New Zealand String Quartet, former Concertmaster of the NZSO and now Concertmaster of the Melbourne Symphony Orchestra. They have a long-standing duo partnership and last graced our stage together as part of a piano quartet ensemble in 2009. This time they introduce us to the gifted Eliah Sakakushev-von Bismarck, principal cellist of the Auckland Philharmonia. Born in Bulgaria, Eliah has won many international prizes and distinctions and appears in concerts throughout Europe, Israel, the USA, Russia, Japan, South America and New Zealand. He has been Principal Cellist with orchestras in Spain, Brazil and Germany and is Artistic Director of the annual international chamber music festival Musikfest Schloss Wonfurt in northern Bavaria. Their programme contains some of the finest piano trios in the repertoire. K 564 is Mozart’s last trio, an exquisite masterpiece of great warmth and ingenuity. Ravel’s only trio abounds with exotic textures and sumptuous colours, while Beethoven’s celebrated "Archduke" Trio is widely regarded as the greatest of all works for this combination of instruments. The V8 Vocal Ensemble’s 2010 concert in Waikanae was immensely popular, so their return visit is eagerly anticipated. 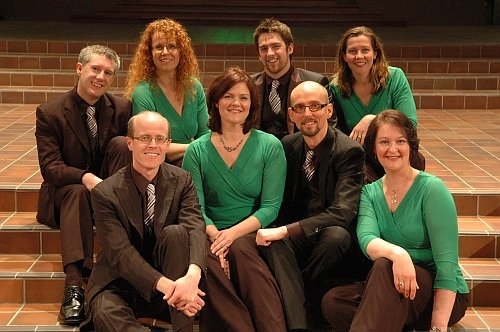 This Auckland-based ensemble was formed in 1998 with most of its singers having been members of the New Zealand Youth Choir and Voices New Zealand. Renowned for theatrical presentation and quality singing, this slick vocal group sings a cappella eight-part harmony, in entertaining and varied programmes of classical pieces, vocal jazz and well-known folk arrangements. They perform at festivals, concert series and private events all over the North Island. Recent highlights include debuting with the NZSO in the March 2011 Auckland Festival; featuring in a master class with the internationally celebrated vocal ensemble, The King’s Singers; and presenting an ANZAC concert series in Auckland and Tauranga featuring music from the two world wars. V8’s programme, titled “The Name of Valour” will feature music associated with two important anniversaries that fall in 2014. World War 1 began in August 1914 and on October 16, almost exactly 100 years before this concert, the New Zealand Expeditionary Force departed from Wellington for Egypt. A second contrasting theme for the concert marks 360 years since the birth of William Shakespeare in 1654 – an association which seems rather obscure until one realises that it was Shakespeare who coined the phrase “the name of valour”. (Henry VI, Part 11). "These pages were last updated on November 2nd, 2014"